Quite often I need something I can stick in the oven and leave to cook while I jump in the shower and race out the door again. You can pick up little bargains on nice fish and I got a couple of sea bass fillets the other day that are perfect for these foil parcels that make ‘cooking’ a breeze. I usually opt for couscous but I ran out, so substituted for bulgar wheat. It takes longer to cook but actually worked really well. As you can see from the recipe, it isn’t exactly measured but that’s the beauty of it; put in whatever you want! Boil a kettle, put the bulgar wheat in a small bowl with a pinch of salt and cover with the water by about 2cm. Cover the bowl with a plate and leave to sit. 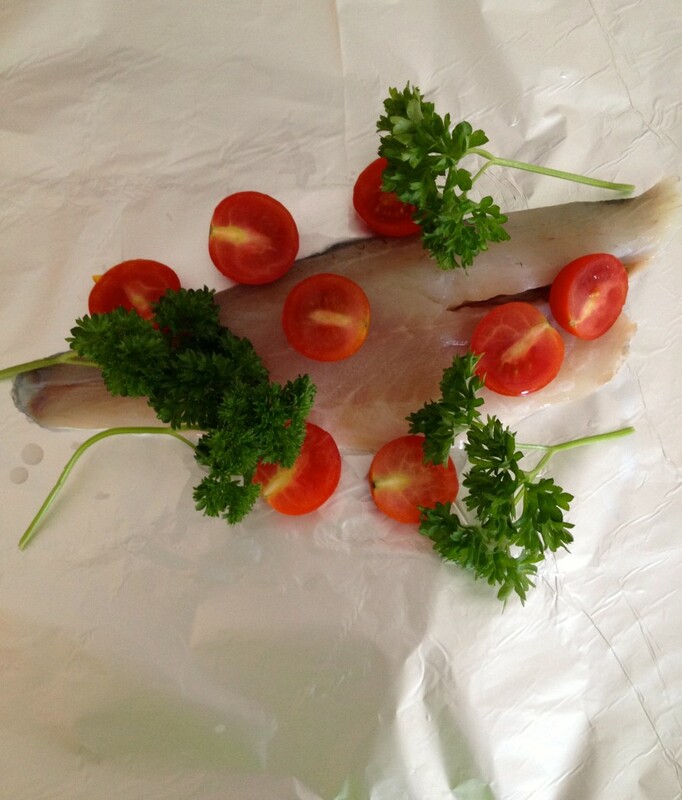 Tear off 2 rectangles of tin foil large enough to form a parcel around your fish fillet. Slice the tomatoes in half, cut the lemon into wedges and chop up the fennel into bite size pieces (fennel goes really well with fish). After about 5 minutes the bulgar wheat should have soaked up a bit of the water but it will cook properly in the oven and soak up all the juices in the process. Spoon the bulgar wheat, remaining water included, into the middle of your tin foil and lay the fish on top – try to keep the sides of the tin foil up so the water doesn’t escape. Scatter the tomatoes, fennel, lemon and parsley on and around the fish and add a grind of black pepper and a dash of white wine and olive oil. Wrap up those bad boys tightly so no steam escapes. Pop into an oven at 200C for around 20 minutes depending on the size of your fish. The fillets will steam to perfection in the water and white wine and the fennel and tomatoes will roast beautifully. No mess and no fuss and great for a dinner party with everyone getting their own parcel to open and enjoy. 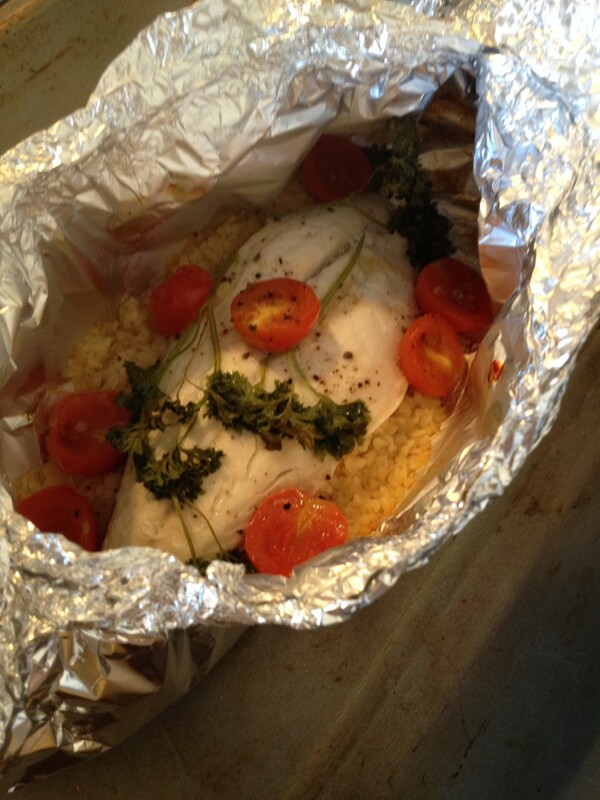 Posted in Recipes and tagged bulgar wheat, dinner, dinner party, fennel, fish, tomatoes.